Victoria Maxwell’s practice focuses on estate planning, probate, and real estate law. In addition, she counsels clients on benefits planning and planning for incapacity, with a special expertise in elder law issues. Victoria is a California licensed real estate broker. Her experience as a real estate and probate litigator helps her to counsel clients with an eye towards avoiding liability and lawsuits. 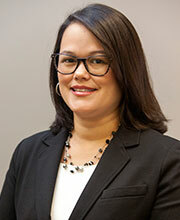 She is currently a candidate for a Masters of Law Degree in Estate Planning & Taxation from Golden Gate University. She is studying advanced estate planning and estate tax issues in preparation for becoming a California Bar Certified Estate Planning Expert, a distinction earned by fewer than 5% of estate planning attorneys statewide. Victoria’s professional affiliations include memberships in the California Advocates for Nursing Home Reform, the Sonoma County Bar Association (including its Trust, Probate and Real Property Sections), the Marin County Bar Association, and the California Association of Realtors. In addition to her work with Monty White LLP, Victoria volunteers for organizations that help the elderly and the underprivileged gain access to free and affordable legal services. For more information, please see vmrealestatelaw.com. Estate planning, probate, real estate and elder law. Civil litigation, estate planning, probate, real estate and elder law. Civil litigation, business, real property, construction and contested probates. Judicial Extern, Hon. James Ware.